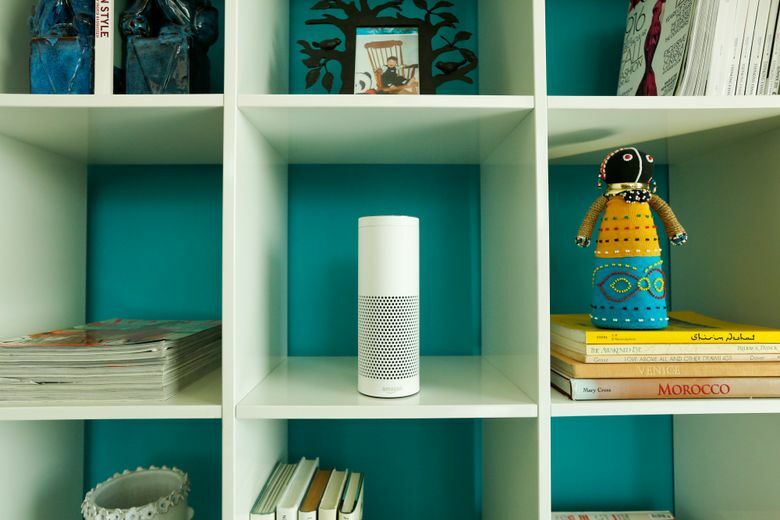 The advisers in charge of the free in-home consultations demo smart home products, including Echo devices, and make personalized recommendations on what gadgets to buy to build a connected home. In a bid to spread the gospel of home automation, Amazon.com has rolled out free consultations from in-house experts that help customers build out a connected home. The Smart Home Consultation advisers come to consumers’ homes to demonstrate smart home products, including the hugely popular Echo line of devices, and make personalized recommendations on what gadgets to buy. The service, first spotted by The Spoon, a site focused on smart kitchen and food technology news, is now available in Seattle, Portland, San Francisco, San Diego, Los Angeles, Orange County and San Jose, Calif. The service comes amid a big push by Amazon to give Alexa, its voice-activated digital assistant, an edge in a brewing war among tech companies for dominance in the artificial-intelligence market. Alexa is the software soul that animates the Echo home speaker, as well as other compatible devices. A big part of its allure is that it serves as a convenient interface for home automation, enabling owners to control light switches, thermostats and even garage doors with voice commands. Its role as an emerging hub of the smart home gave Alexa a starring role this year at CES — the annual consumer-electronics extravaganza — with appliance makers from Whirlpool to Samsung unveiling voice-controlled gadgets compatible with the Amazon software. The consultation service also serves another Amazonian ideal: reduce any friction that might impede shopping. The emerging field of home automation is confusing to many consumers, and not everything works very well, making customized recommendations valuable. Appointments, which can be booked on Amazon’s website and are free, typically last 45 minutes, the online retailer says. In addition to conducting product demos, letting users try out devices, and creating a personalized shopping list, the experts will check Wi-Fi connections to make sure they have a good signal. Amazon didn’t immediately respond to requests for comment on the service. It’s unclear when it was launched, but it’s been reviewed 77 times. The first reviews date from last November.